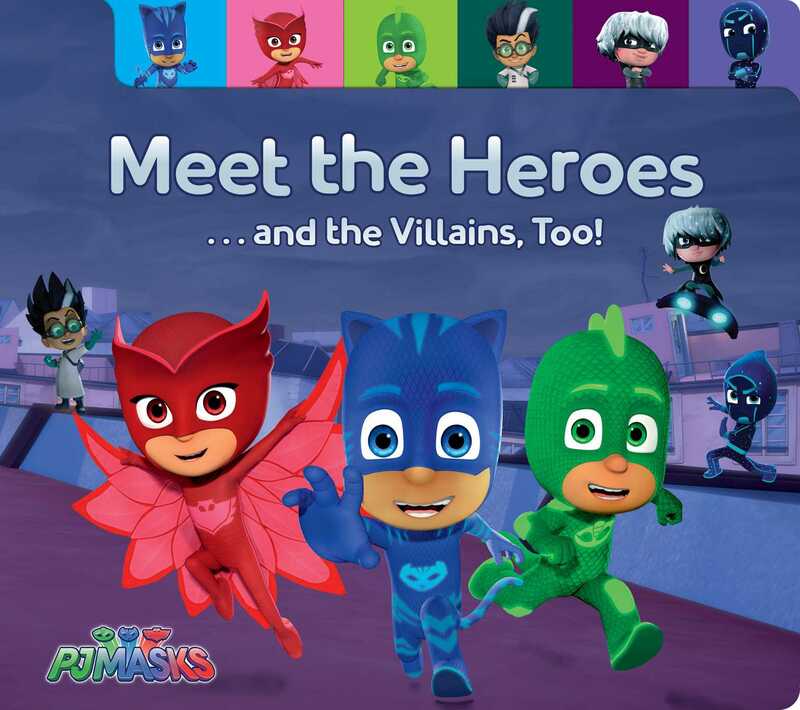 Learn all about your favorite heroes and baddies in this sweet tabbed board book based on PJ Masks, the hit preschool series airing on Disney Junior! Are you ready to meet the PJ Masks? Now you can learn all about Catboy, Owlette, and Gekko as well as the baddies they battle—Romeo, Luna Girl, and Night Ninja—in this super terrific tabbed board book that features one hero or villain on each tab. Book Cover Image (jpg): Meet the Heroes . . . and the Villains, Too!